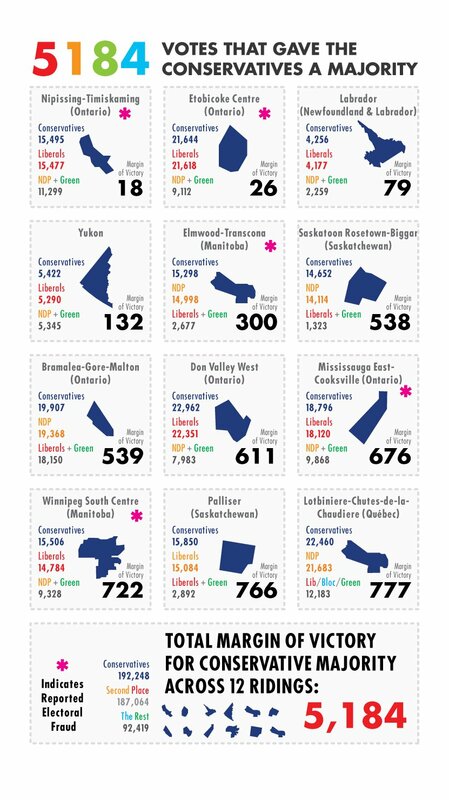 Those 8 or 9 ridings in which serious questions about vote suppression have been raised is now almost 50. Reported electoral fraud in our riding (Mississauga East/Cooksville). Iff there’s any attempt to prevent this, to trivialize it, to stonewall it, to deflect attention from it, then the Governor-General should be pressed by the citizens of Canada to exercise his constitutional power to dissolve the government and send it back to the voters to obtain a clear and a legitimate mandate.